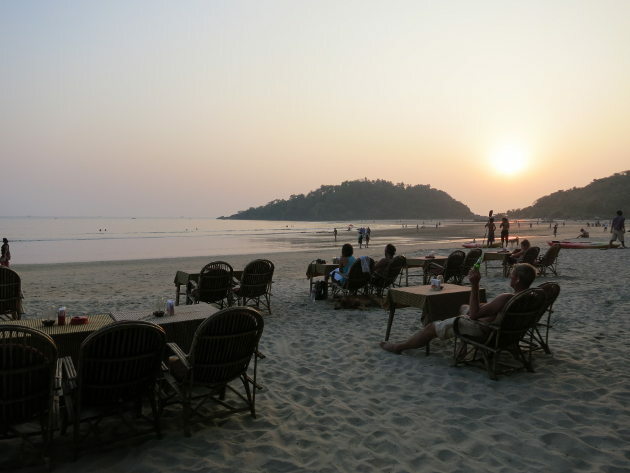 After a few nights in North Goa, we sought that it would be nice to try out South Goa, even if it’s for one night only. I’m glad we did because I liked it much more than the North. The atmosphere is different from the North. The tourists come as families or couples and most of the day is spent laying down on the beach. I find the beach much prettier here with more palm trees and whiter sands. In the evening, all the restaurants put tables on the beach and light them up with candles. You can then enjoy a nice dinner to the sound of live music or trance. There was even a firework! I would have loved to stay a few more days but as always we’re moving quickly to see as much of India as we can. Stay tunned for Kerala.